Overview and brief description of current activities and projects, beneficiaries, and areas of influence. The Current Activities of the Foundation are the development and building of a platform for learning, sharing and action for sustainable development – Sustainability.world. This will be available for young people of all ages with well researched information, activities, quizzes, and the possibility for communication and sharing. Quality content from experts and impassioned contributors from students to grandmothers to raise awareness and action for the respect and safe-guarding of Nature, Universal Rights and the change that is needed for all to live positively and in harmony. Sustainabus, an exhibition bus that will be equipped to share information and experiences to raise awareness and action to sustainable development. The first bus will visit schools, communes and institutions in the Geneva and greater Geneva area, with the plan of others for Switzerland and other countries in the long-term. This is also a complimentary and way of sharing and promoting the Sustainability.world platform and the Centre Objectif Terre. The Green Map Swiss projects will be developing increasingly on the iPhone systems. Its aim is to share with other countries such as Morocco, the knowledge and tools needed to make Green Maps, which are designed for sustainable development and created with internationally recognised icons. Alp Action aims to raise awareness and action towards the mountains, mainly the Alps, from Monaco to Slovenia but also mountains worldwide. It will develop projects with the Centre de la Nature Montagnarde de Sallanches, Haute Savoie, France, with Pro Mont Blanc and other associations and active organisations. One aspect includes the development of Green Maps specifically for mountain regions and their flora and fauna. The skiing community is often very ignorant of the richness of mountains and thus disrespectful, this can be changed with interactive, interesting and informative tools. Centre Objectif Terre – an icon for Geneva to be an active exhibition centre for sustainable development, 25’000 square metres within a bigger development project, that will be open to the public, a meeting place with an agora, changing and stimulating exhibitions, areas for entertainment and sharing special experiences. Its aim is to become an animated centre of attraction for local and international visitors. These projects are for the benefit of people of all ages and are designed to stimulate a changing of ideas, encourage knowledge sharing and action. 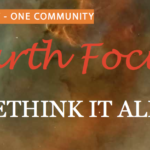 Earth Focus has already worked with and for many people interested and passionate about the subject of sustainable development and will continue to develop this interest with up-to- date tools and possibilities. Externally developed economic, environmental, and social charters, principles or other initiatives to which the organization subscribes or endorses (including date of adoption). 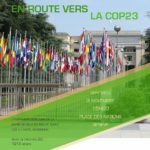 Committed to the Autorité cantonale de surveillance des fondations et des institutions de prévoyance – ASFIP Earth Focus Foundation adopted the Earth Charter in 2016. Partnerships with Graines de Paix, Green Cross, S. B. Conseil, Global Bill of Rights GBOR, Forum for Human Rights, Global Institute for Water Environment and Health (GIWEH), Noe 21, Gaia 21, XXL Green Project, Global Issues Network, Objectif Sciences International, Earth Community Trust (ECT- Ending Ecocide), Fédération Rhône-Alpes pour la Protection de la Nature (FRAPNA), United Nations Environment Programme (UNEP), Geneva Environment Network (GEN), Hans Wilsdorf Foundation, Loterie Romande, Porter Foundation, University of Geneva, European University, Geneva School of Diplomacy, Graduate Institute of Geneva, Fondation Gaia, Ecsite, the European Network of Science Centres and Museums (ECSITE), Rainwater Harvesting, Pro Natura, Conservation Foundation UK, Professor David Bellamy, Department d’Instruction Publique, International School of Geneva, Collège de Léman, The British School, Institute Internationale de Lancy, l’Institut de Florimont, Global Issues Network (membership of over 50 schools teaching the International Baccalaureate, Aga Khan Academy (Mombasa, Kenya), Delta Environment Centre (Johannesburg, South Africa). Alternatiba, International School, Les Nations open day, Euforia STEP into Action, Geneva Environment Network events, Green Cross events.